Weldome to #CatmasEve 2018! Anipals and friendly others, we’re glad to have you here to pawty with us! This is the 13th year of pawtying on Christmas Eve so no one has to sit home alone due to the distance from loved ones, differing religions, or whatever. from 12/24 3:00 pm EST to 12/25 3:00 am EST. There are lot s of thing to do. There are fun and games and music and barktenders and prizes. We hope you enjoy them all. The links above lead to fun activities for all. 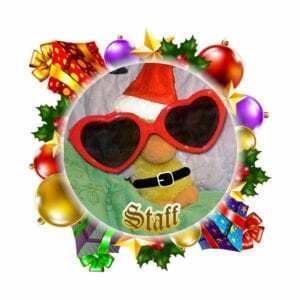 Or just ask one of your hosts: @GeorgeTheDuck and @kittehboi or the angel of an aide @Lucky_GSD. So have a great time with pals! 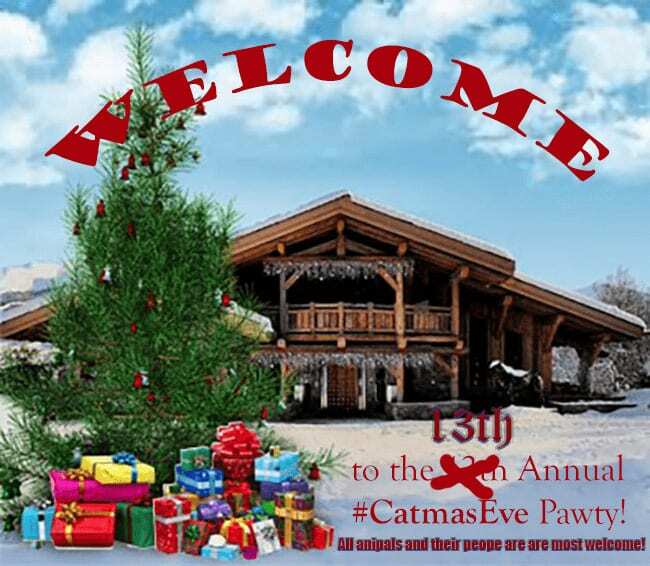 #CatmasEve is brought to you by anipal staffers from #CatmasEve, #Nipclub, and #Pawgaritaville. Posted by George & The HotMBC Cats. Categories: #CatmasEve 2018. Comments Off on Welcome to #Catmaseve 2018!